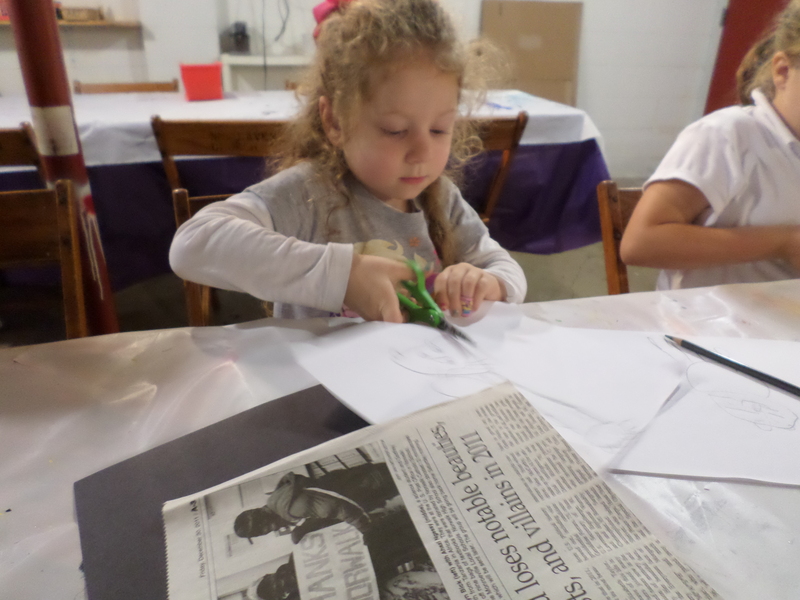 We have lots of fun at Art Camp Jr.! 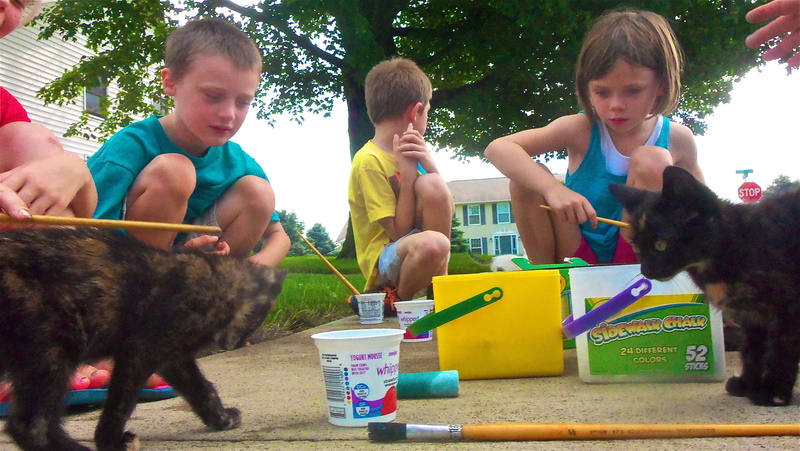 One day we had some neighboring kitties join us in our sidewalk chalk art. 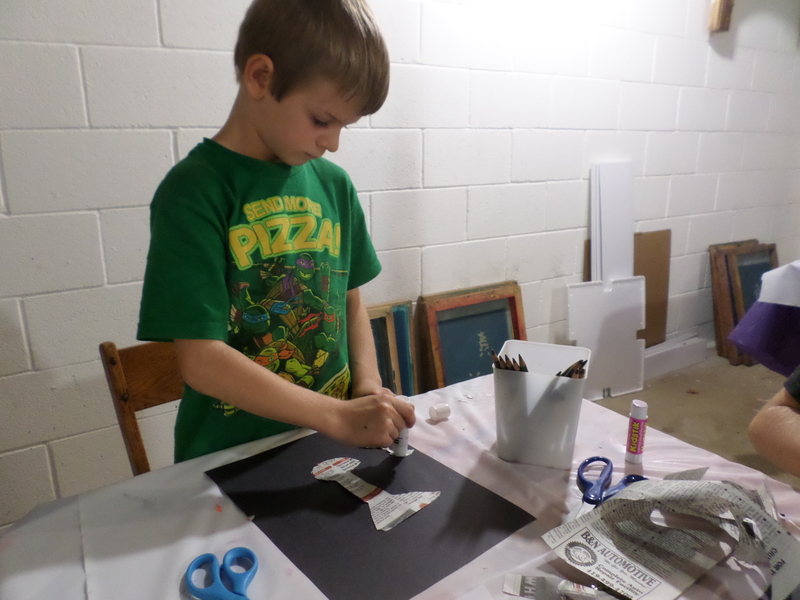 Maybe you can be apart of our camps this summer or one of our winter art programs? 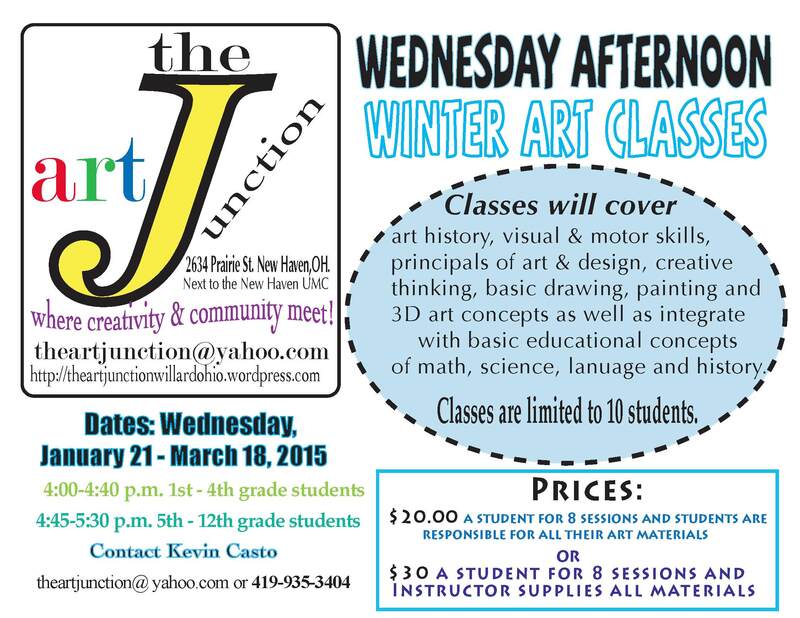 Call today sessions begin next week! 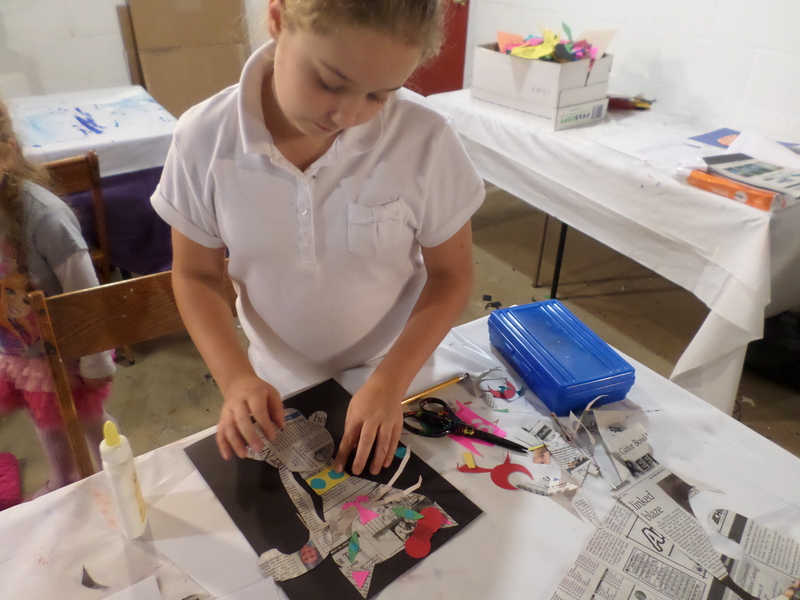 Wednesday Afternoon Art students explored collage with non-traditional materials this autumn. 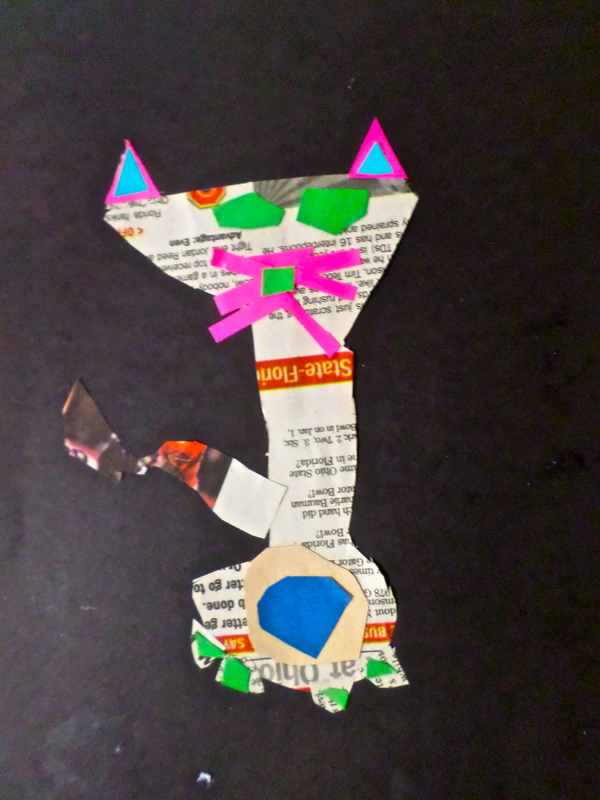 Students began with a drawing of a cat using basic shapes. 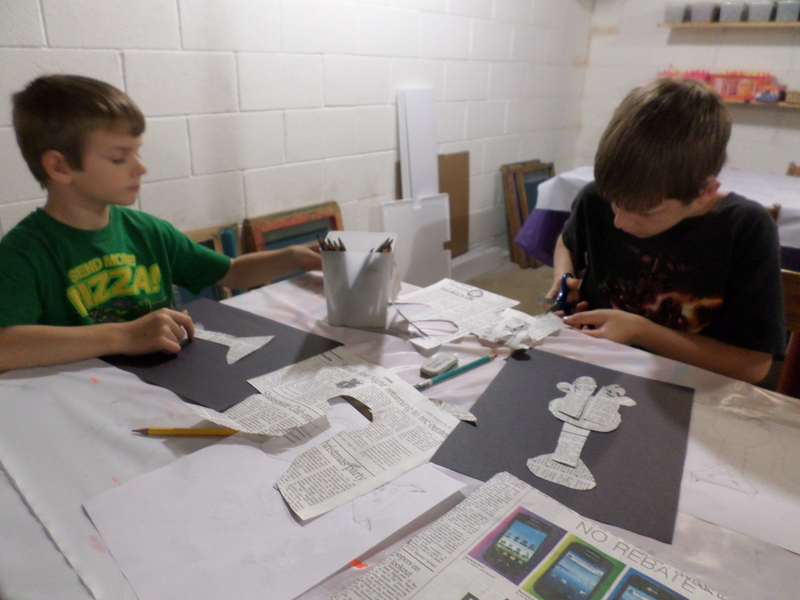 They then transferred their idea into paper shapes which they cut out. 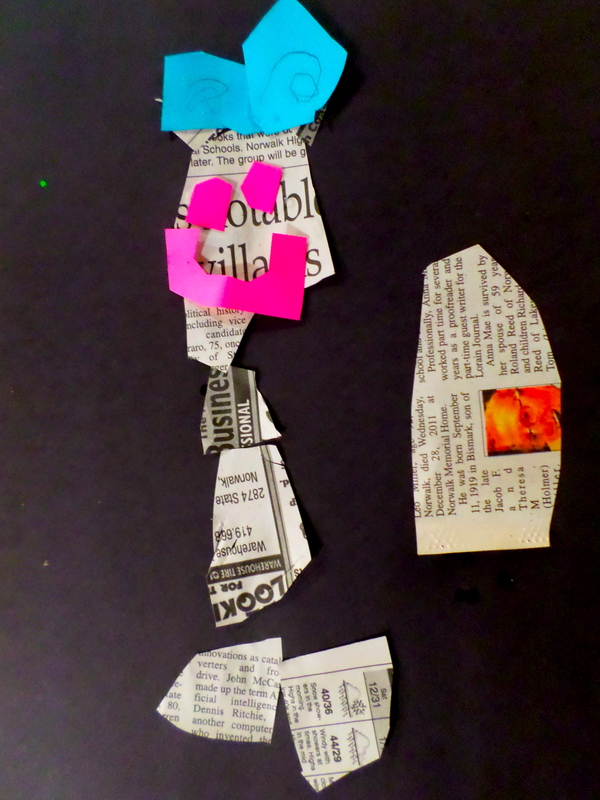 The next step was to cut out and glue all of the body shapes using newsprint. 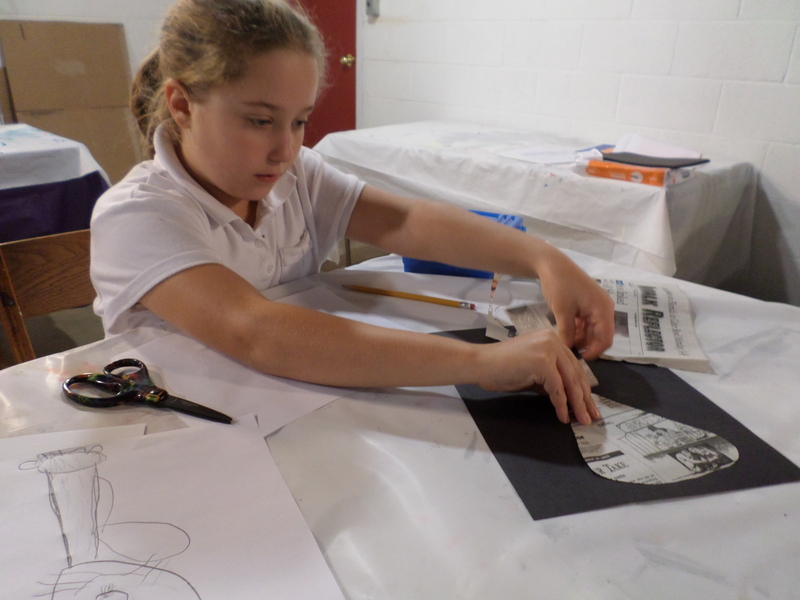 This required a lot of focus as students referred back to their initial drawing during the creative process. 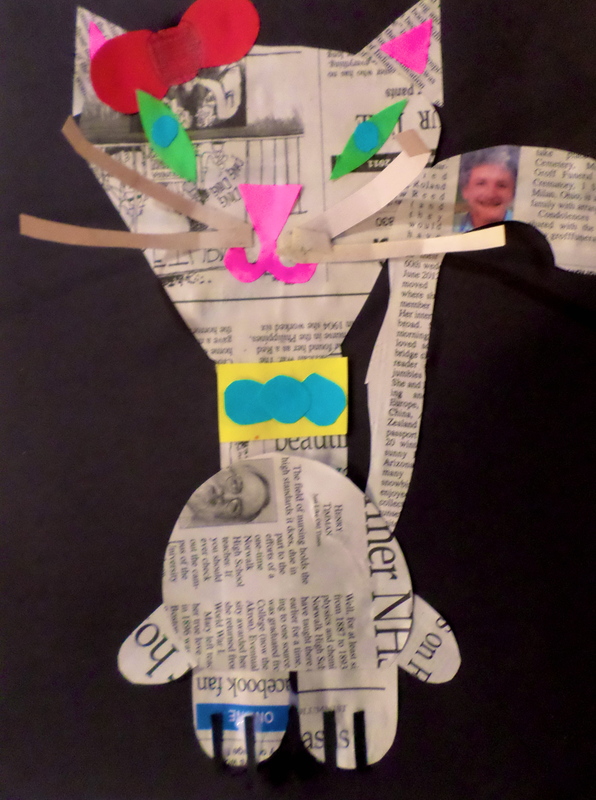 Students enjoyed the process which was much like creating a puzzle as they made parts and put them together. 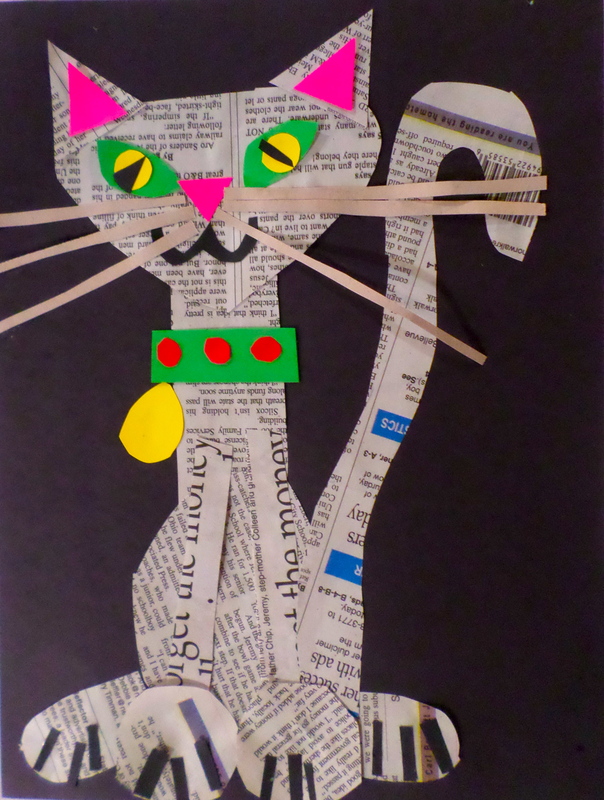 The scrap paper box was very handy in adding details to the cats with many different colors. 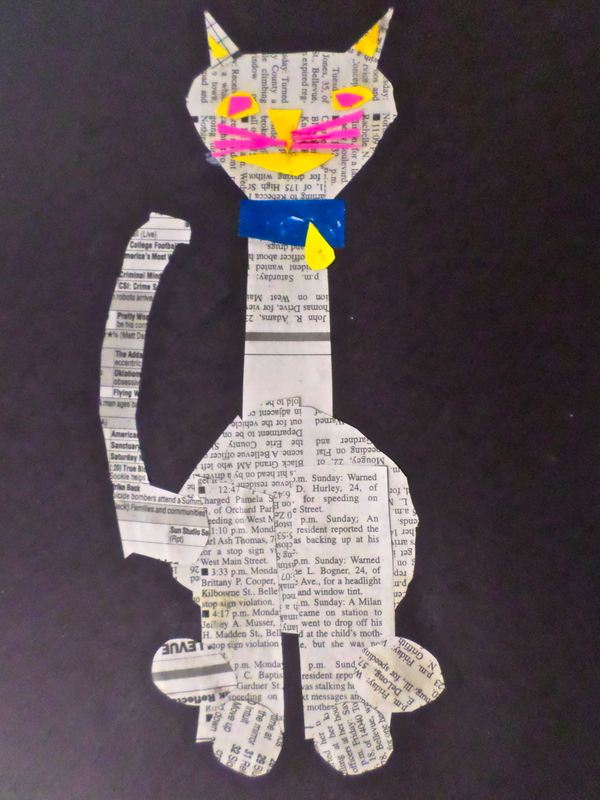 Here are some examples of the students’ collages. 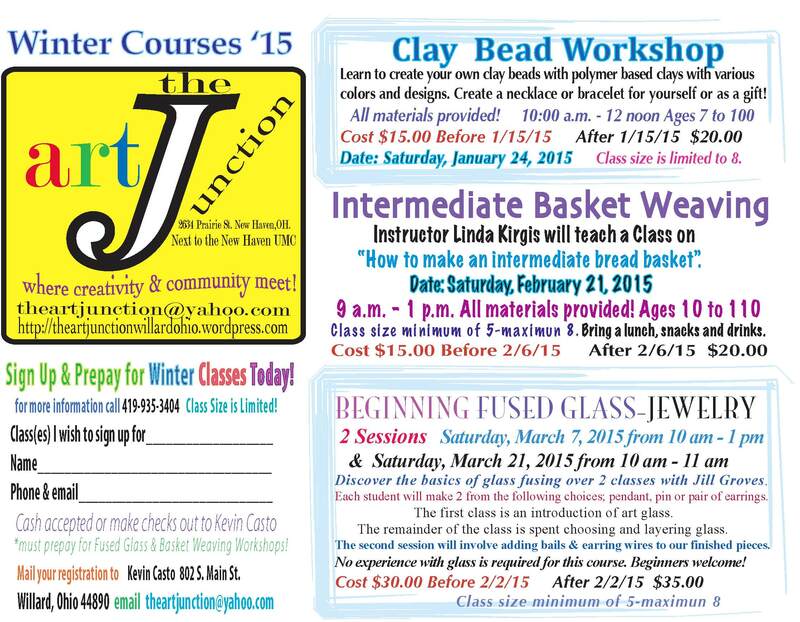 Maybe you can join us for our winter classes beginning in January?